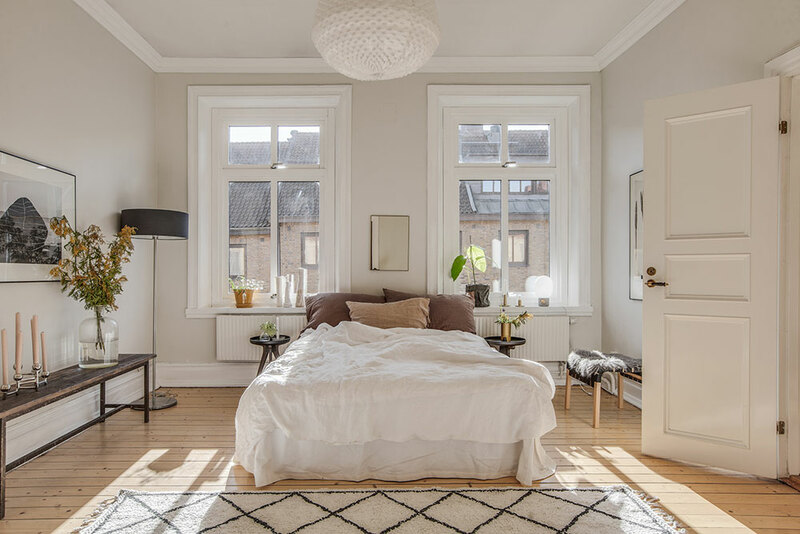 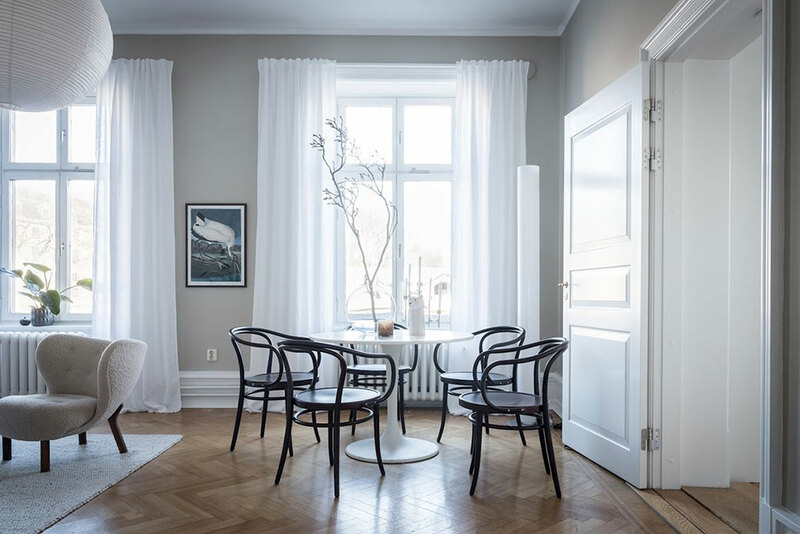 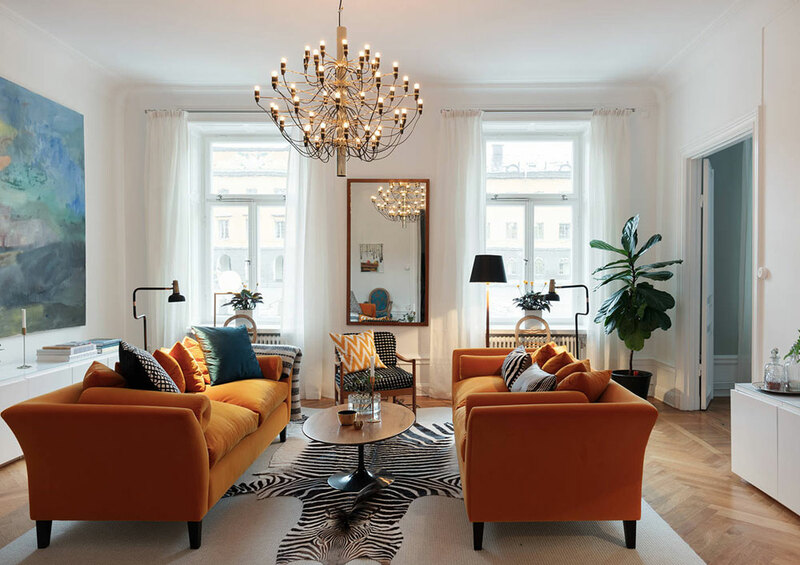 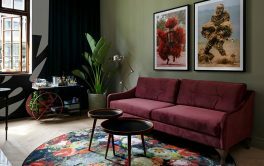 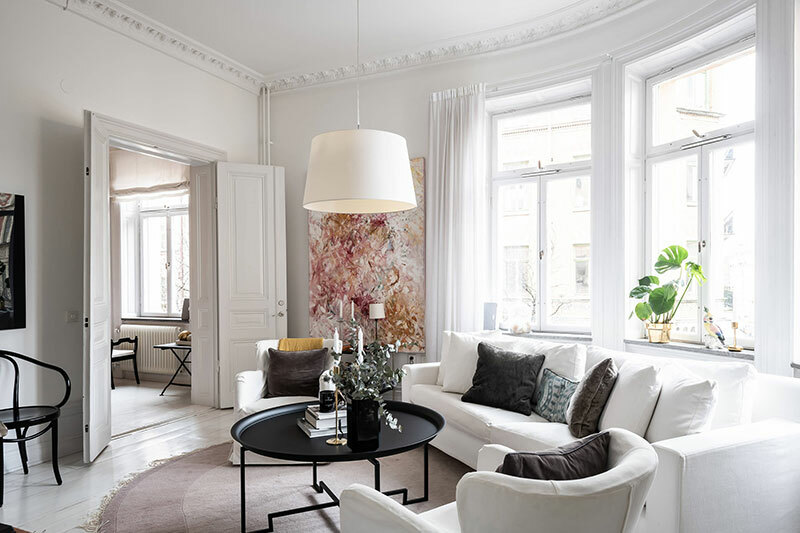 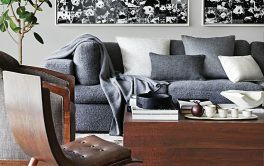 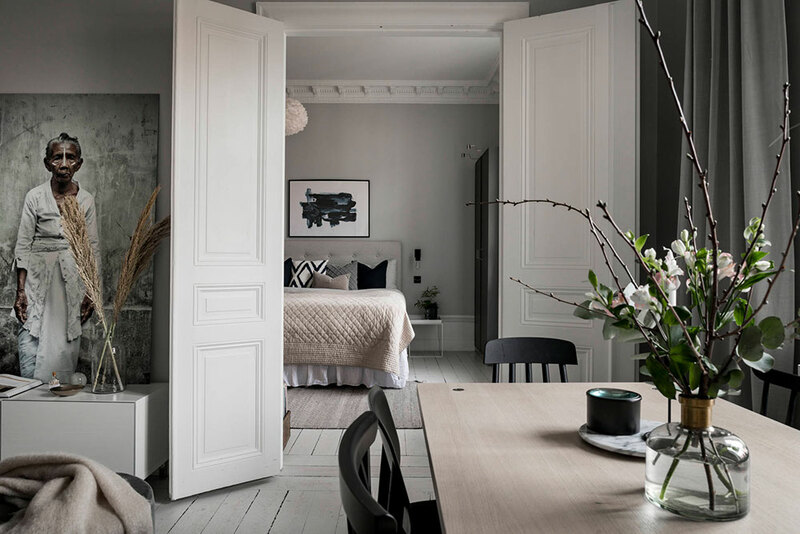 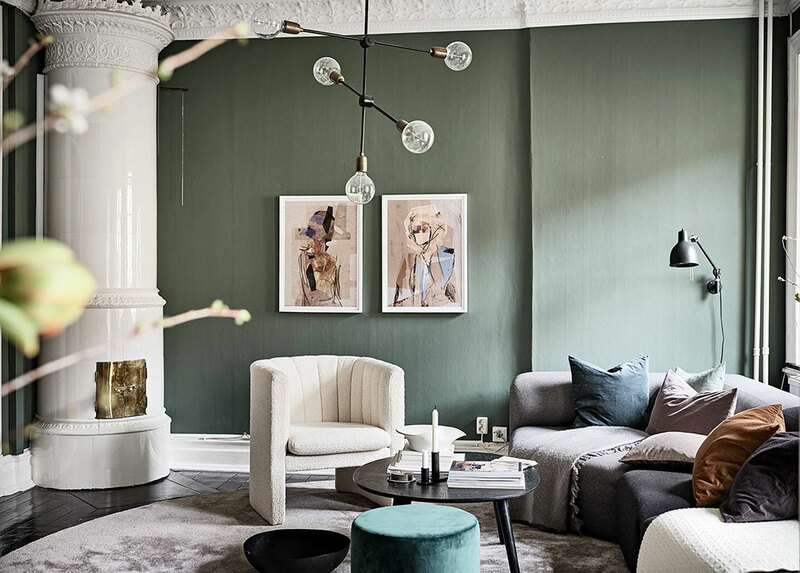 The interiors of this apartment in Sweden is filled with pleasant tenderness and freshness, thanks to which a soothing and relaxing atmosphere reigns in it. 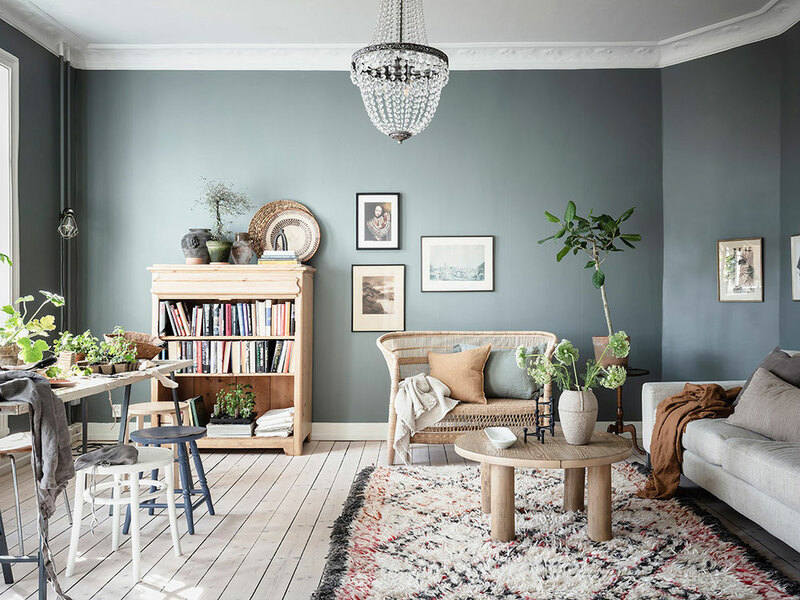 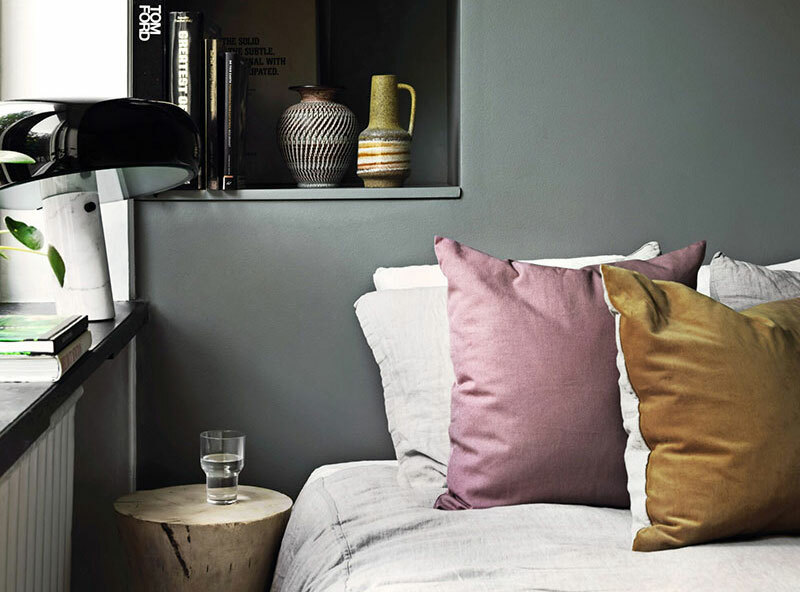 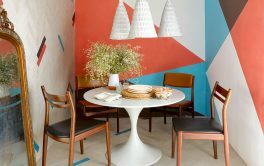 The designer did a great job with the color and decor: the gray-beige wall shade adds warmth, and the light curtains, upholstery and carpet create that attracting lightness and airiness…. 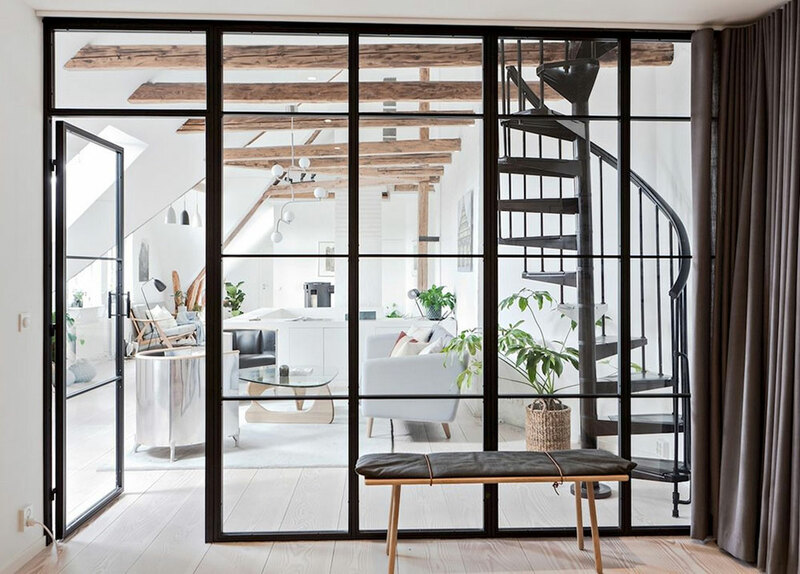 How to design the space in a former industrial building with high ceilings and open plan? 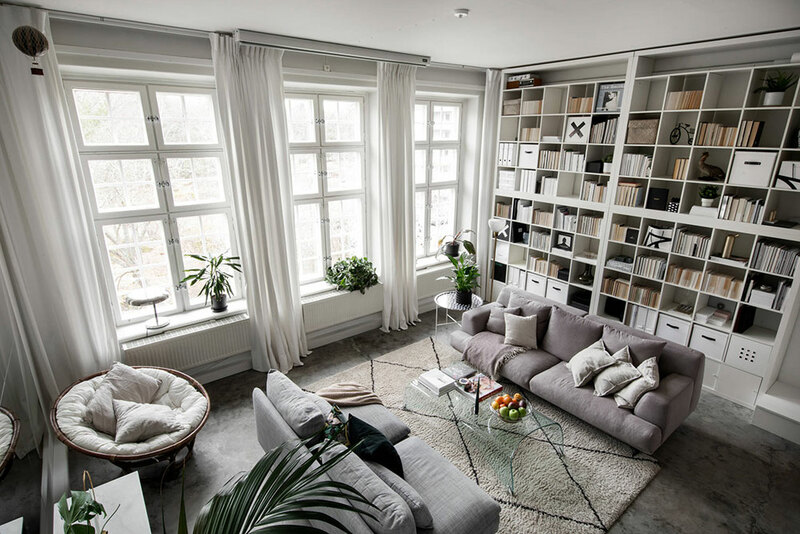 The owners of this apartment in Stockholm, for example, decided to install a huge home library on the whole wall and create the mezzanine bedroom above the kitchen area – as it seems to us, such a great decision….